At their Sixth Annual Leisure Lifestyle Awards, the Global Traveler named Saint Lucia as the “Best Island in the Caribbean” for the second time! This is not a surprise to me as I’ve been captured and engulfed by the charm of the Island my whole life, but it confirms what I already knew–St. Lucia is the place to travel if you want to get the best out of all experiences! Stepping foot on the Island provides a dream-like experience, where you are transported into a different reality. One with no limit to peace and pleasure, the Island is truly one step away from Heaven. My purpose is not to convince you to choose Saint Lucia as your honeymoon destination, the awe-striking beauty of its deep blue waters and sandy beaches already do that themselves. When you are planning your Honeymoon, you and your partner deserve a slice of Heaven, St. Lucia is where you will find it, without even looking. Saint Lucia’s natural beauty makes it an easy choice for any sort of gateaway, but even more perfect as a Honeymoon destination. You can find multiple all inclusive Honeymoon packages that put you and your loved one at the center of the adventure. Located South of the Caribbean, the Island gives you the comfort of a home away from home–experiencing something completely new while also feeling welcomed and comfortable. It’s the only place in the world offering you the excitement of a drive-through volcano, the world famous mountainous Pitons while also offering calming white and black sands, a lush, thriving and protected rainforest. There is nothing you can miss out on as everything is brought to you, that’s what it means to be in Heaven. I’ve created for you a guide on how to get the best out of your Honeymoon experience; from beachside snuggles to underwater adventures, hand in hand with your love as you begin your life as one. It can be overwhelming to pick which resort to spend your Honeymoon in, but I’m here to simplify that. Here are the top 5 Honeymoon resorts in Saint Lucia. The beautiful thing about resorts in Saint Lucia is how diverse they can be. The Island offers adult couples only resorts for all ages and more. Because one size does not fit all and your needs are of utmost importance, especially when celebrating love. No matter where you choose to go, you will be transported into a land of magic and sublime nature. Jade Mountain’s all-inclusive resort is definitely the place to consider spending your first adventure as a one. You can enjoy their all-inclusive adults only luxury honeymoon packages with their unique and luxurious resort options. This resort is well-known in the Caribbean as the number one destination for your getaway. Each rooms offer incredible views of the Island, putting you right at the embrace of a breathtaking view of the Pitons World Heritage Site. On your honeymoon, I recommend that you enjoy their romance package, which includes a 5 night stay with activities such as snorkeling, and scuba diving. Your breakfast, lunch, afternoon tea and dinner is included in your package. You also have access to a tennis courts, fitness center, access to two beaches, the perks really do go on! The rooms at Jade Mountain are incredible, they do not feature any radios, telephones or television, it allows you to be fully there present with the incredible view of the Caribbean Sea, the lush rainforests. Jade Mountain allows you to wake up in paradise every morning! Sandals Grande is the number one spot for a couples-only honeymoon destination. Located on a Peninsula right next to Pigeon Island National Park, you are surrounded by breathtaking views. You are laying right on the best beach in Saint Lucia, with warm and perfect waters. This resort has been rated number nine on TripAdvisor’s Top 25 All Inclusive Resorts. You have access to free wifi, 8 restaurants and 6 bars to choose from. You can soak your love in their heart shaped pool, the mile-long white sandy beach, a sauna, and steamy baths. There is an endless list of things you and your love can indulge in, right at your resort. How amazing does that sound? Water skiing, scuba diving paddle boarding and snorkelling, these are all activities you can participate in at Sandals Grande. Your room options range from choices like the Carribean Walkout Deluxe and the Lover’s Lagoon (designed especially for honeymooners). So what are you waiting for? Go book your honeymoon at Sandals Grande to get the best out of Saint Lucia! Ah, Sugarbeach! This Viceroy resort offers all-inclusive Honeymoon vacation and wedding packages–so you can plan both your wedding and honeymoon at the same amazing destination. Sugar Beach is perched on a majestic valley, at the center of the Pitons. The atmosphere is intimate, cozy, unique and tranquil. There is deep history on the ground it stands on, as it was formerly known as Jalousie Plantation; a sugar plantation. Once you arrive, you are welcomed by personalized butler service, tailored to your reservations, and a glass of champagne to celebrate your marriage. You can relax from your flight by dipping into the rainforest, right at the center of a fantastic tropical setting. Breakfast, lunch and dinner are included in your tropical getaway, along with a late night bar! Located just 10 minutes from Hewanorra Airport, Coconut Bay Resort & Spa provides the ultimate All Inclusive. Sitting on 88 acres of a golden sand beach, longer than eight football fields! The adults only area of the resort allows you to relax whether you do honeymoon packages or honeymoon and wedding packages. There is also an adult only jacuzzi, pool, and restaurant! There is also access to an unlimited beverages choices, including a swim up bar along with a full breakfast, lunch, dinner and snacks throughout the day. Your daily entertainment options include a full fitness center, evening themed nights, outdoor whirlpool, waterspors, windsurfing and more. Planning a destination wedding and honeymoon really couldn’t be made easier! There’s a reason why Saint Lucia is known as a couple’s paradise! There are plenty of things for you and your love to take advantage of your time together. Dusk is the perfect time to begin your adventure, sparkling champagne on the side! But not before you enjoy a day full of climbing, snorkelling, touring, boat cruising, private candlelit dinner–all while on the Island! These are some experiences you should absolutely participate in when you’re on your couple’s paradise. A beachside dinner is the perfect way to celebrate your love in harmony with the vibe of the Island. When that dinner is private, the experience is just as intimate as having it in the cocoon of your own home, except it’s by a white sand beach in a tropical haven! Food and a view–it can’t get better than that! There are many different resorts that offer this package but I recommend Rendezvous Couples-Only Resort as they have an all inclusive beachfront property in the north part of the island. You will enjoy beginning your evening with a bubbling champagne happy hour bar and plunging into their romantic-getaway inspired menu. There’s no better way to see the Island in all its beauty then from a bird’s eye view. Your breath will be taken away when you take a twelve minute helicopter ride; an aerial view of Saint Lucia as a whole. In addition, the tours offer an incredible view of Saint Lucia’s very own Pitons Mountains, a true lush wonder. 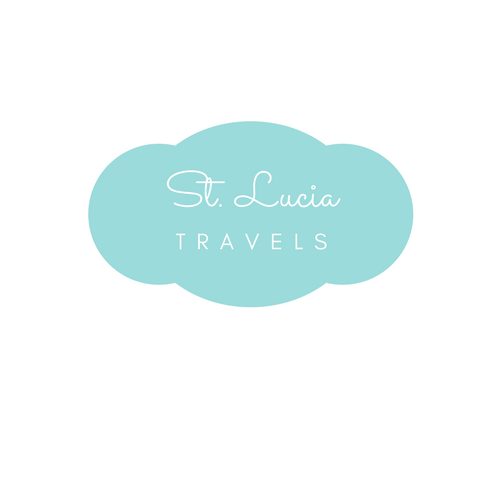 This adventure is offered by St. Lucia Helicopters; they offer airport shuttles and tours. As a bonus, the staff and crew are incredibly warm and welcoming, allowing you to start your honeymoon with warmth, beauty and love. Island Factory Tours are the best way to get a guided look at Saint Lucia’s history. TripAdvisor recommends these top three tours: Howelton Estate 1896, Roseau Valley Distillery and Caribbean Perfumes. I will focus on telling you about Howelton Estate 1896 which is rated number 116 of 197 Tours in Saint Lucia. You can book a tour here in advance! The Estate stands on approximately 240 meters above the city of Castries. You are engulfed by a smooth and cool lush island breeze. Not only do you get the opportunity to explore and learn but you can also make your own cocoa by grinding smooth dark chocolate. This island gem is a great opportunity to make something together with your love and taste the sweet part of Saint Lucia! The Gros Pitons Hike is the perfect activity for that adventurous couple! Nothing is more thrilling followed by the rush of climbing and the reward that comes at the top. The whole package include a free private pickup & return service, making it convenient for you from the start and you don’t need to worry about packing hydration as your guides will have water ready for you! This tour is a must experience for anyone visiting St. Lucia and even more specifically those celebrating their lives. Gros Piton stands 2,619 feet above sea level is one of the wonders of Saint Lucia’s western coast. Once you get to the top, you are rewarded with a breezing view of the lush greenery of the Island from a vantage point that will take your breath away! So grab your camera and your hiking shoes, this adventure is one you won’t want to miss out on. The local cuisine at the Pink Plantation will allow you to have a meal that you and your love with remember for a long time! You can enjoy their local soup of the day against the cool breeze of the island. Rated number 1 out of 34 best restaurants, it is located at the top of a hill overlooking Castries. It is a charming pink colour, surrounded by a spacious terrace, stunning gardens. Among their many menu options, they provide sunday brunches which you can enjoy peacefully overlooking bountiful nature. The scenery will truly take your breath away and the meal will comfort your stomach, what more could you ask for during your honeymoon? Bamboo Restaurant provides the perfect romantic rainforest atmosphere. Everything is designed to celebrate the warm and romantic environment of your love. Their menu includes a full bar, along with gluten free and vegetarian options. Located at Fond Doux Plantation and Resort in the Soufriere feature the Caribbean and international cuisine. You are amidst lush greenery with magical feelings at a tropical paradise. You will definitely want to try their local dishes and savory menu! Located at Royal Saint Lucia Resort at Rodney Bay, The Chic Restuarant provides a fine dining romantic atmosphere with a blend of French and International Cuisine. Your dining experience is sure to be memorable experience. The dim lights and open space overlooking the gardens reminds you to garnish and cherish the beauty of the movement! Chic has been awarded TripAdvisor’s Certificate of Excellence and is recognised as number 5 of 16 best Restaurants in Rodney Bay. This India and Caribbean, vegetarian friendly fusion restaurant is a must try for a filling and romantic meal in Saint Lucia. Located at Marigot Bay Marina Village. You can enjoy an authentic Indian and Indo Chinese (Hakka) cuisine from the same owners of the famous Spice of Indian in Rodney Bay. The staff is warm and welcoming and your lovely tables will provide a perfect view of the bay. The chef is very accommodating, making sure that you get exactly what you crave! When you’re planning your Honeymoon in Saint Lucia, don’t forget to look over these suggestions in order to get the best of your time there! Whether your planning your destination wedding or your Honeymoon, Saint Lucia has many of the best resorts, adventures and restaurants to experience in the Caribbean. There is a reason why the Global Traveler rewarded this beautiful Island on many occasions as the “Best Island in the Caribbean”! The best way to experience the beauty of Saint Lucia is with the love of your life, so get ready to begin your time together in the warmth of the Saint Lucia sun!